The motor sector drove up the fortunes of the general insurance market in 2000 as premium income continued to soar. Poor underwriting results and insufficient investment returns forced insurers to price for profitability, with private comprehensive motor bearing the brunt of this move, which saw the total market grow by a massive 17.1% GWP in 2000. Datamonitor's new report finds the future is brighter still for the motor sector, with GWP expected to reach £12.5bn in 2002. The motor market will be characterised by a more `responsible' business cycle, meaning that the peaks and troughs will be much less pronounced than in previously cycles. Compared to the dramatic 8.7% compound annual growth rate experienced between 1996 and 2000, the industry can expect an average annual increase in GWP of 2.4% until 2006. The motor insurance market reached a value of £10.6 bn in 2000 - an increase of 17.1% since 1999. Indeed, this growth rate is more than twice the annual average between 1996 and 2000, and was driven chiefly by personal lines where major price hikes are more easily pushed through. Private comprehensive motor grew by 19% to £6.7bn in 2000, while non-comprehensive motor increased by 13.9%. Motorcycle, which experienced a massive increase in GWP in 1999 rose by just 1.6% in 2000 to a value of £130m. On the commercial motor side the fleet sector witnessed the greatest improvement in premium income, which grew by 16.3%. The comparatively small commercial vehicle market rose by 11.2%, reflecting the efforts of insurers to combat claims inflation by raising premium rates in a traditionally sensitive market. These are truly phenomenal growth rates for any industry and frankly were much needed by the motor insurance community. Datamonitor's research finds that underwriting losses reached a low of £1.5bn in 1998 and improved only a fraction the following year. However, the massive premium rate rises have had an immediate effect, bringing down the underwriting loss to a more `palatable' £916m. Driving the weak underwriting results is the continual claims inflation in the motor insurance market. The total number of claims rose yet again in 2000 to 4.2 million cases, of which 2.9 million came from the private comprehensive motor sector. All other motor lines experienced a decrease in claims numbers. However, with the exception of motorcycle, all sectors witnessed a rise in claims cost as the total claims bill grew by 7.8% in 2000 to reach £7.1bn. Major increases in personal injury costs plus rises in the cost of garage charge-out rates and vehicle parts have fuelled this growth, and costs are expected to rocket further when the government's proposals to raise the roof on NHS clawback levels are pushed through. The top ten motor insurers jointly accounted for 64.5% of the market in 2000, underlining the incredible amount of power held by just a few players. CGNU was clearly the top provider with more than twice the market share of its closest rival, Royal & SunAlliance. 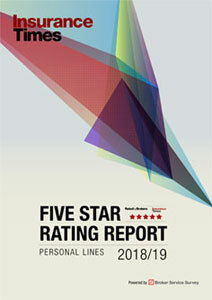 Half of the top ten insurers, including the number one, experienced a reduction in premium income, although providers such as Direct Line and Churchill made gains. On the whole, those providers only active in the personal markets fared better than their competitors with both commercial and personal books. Several major players actively sought to trim their businesses and divest risky lines in order to restore profitability to their books. These competitors are anticipated to exhibit a return to growth as these changes yield benefits. Direct Line was far and away the motor insurance winner in 2000. Direct Line benefited from the huge rises experienced in private motor, while not being drawn back by the more sluggish performance in commercial lines. This resulted in a massive growth in premium income of over 50%, catapulting the direct pioneer to become the number two private motor provider with a 2.8% increase in market share. Direct Line's sister company, Privilege, was also able to profit from the hardening market conditions in 2000, more than doubling its GWP to join the lofty list of the top ten motor insurers. Churchill was another key player to feel the boost in private motor and its anticipated acquisition spree should see it move up the ranks even further. However, Datamonitor's research finds that there may be a thorn in the side of these direct writers. Esure opened with great expectation in 2001 and looks set to achieve its targets for its motor business. Cutting into the customer base of Direct Line - and others - could upset the applecart. A mini-price war between the two could be on the cards, although Direct Line is unlikely to be troubled too much by the newcomer. This raises the pressing question of when the market will return to price-based competition. Interviews with senior industry executives revealed differing views on how the future of the industry would look. Some believed little would change and competitors would swing between hard and soft markets as usual. However, a more popular view expressed was that the days of aggressive pricing were over and that motor insurance would instead experience shallower and shorter peaks and troughs. A more responsible attitude to underwriting will be approached and the long-term focus is set to remain on profitability. 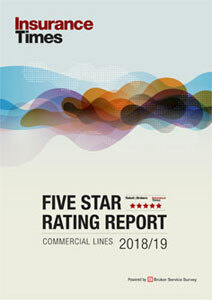 Commercial lines are forecast to grow at an annual average of 2.4% - the same rate as private motor - until 2006, with the total market reaching its peak in 2002. The market is expected to drop prices in the latter half of 2002, resulting in a decline in GWP that will pick up again in 2006. It is anticipated that the commercial vehicle sector will achieve the highest average annual growth rate of all lines with 2.8%. Private comprehensive motor will remain the dominant sector and is forecast to increase yearly by 2.5%. Other sectors in the market will also experience a rise in fortunes, although on a slightly lower scale. Datamonitor finds that claims and costs will continue their upward trend, albeit at a slower rate than has recently been encountered. The cost of claims is set to rise by a more manageable 3.5% annual average, while the adoption of cost-cutting technologies and the decline in broker commissions will result in a 2.3% yearly cost increase. All in all, total outgoings are forecast to rise by a compound yearly rate of 2.5% compared to a 3.8% growth in net written premiums. These favourable trends will produce a slight underwriting profit for 2001, which will continue to increase until 2003, before reducing again in line with the short, shallow period of soft market conditions thereafter.